Phrases like "random acts of kindness" and "pay it forward" have become popular terms in modern society. This could perhaps be best explained by those who have identified a deficiency in their lives that can only be fulfilled by altruism. It seems there are good reasons why we can't get enough of those addictive, feel-good emotions, as scientific studies prove there are many physical, emotional, and mental health benefits associated with kindness. As minds and bodies grow, it’s abundantly clear that children require a healthy dose of the warm-and-fuzzies to thrive as healthy, happy, well-rounded individuals. The good feelings that we experience when being kind are produced by endorphins. They activate areas of the brain that are associated with pleasure, social connection, and trust. These feelings of joyfulness are proven to be contagious, encouraging more kind behavior (also known as altruism) by the giver and recipient. Acts of kindness help us form connections with others which are reported to be a strong factor in increasing happiness. Studies show that people experience a "helper's high" when they do a good deed. This rush of endorphins creates a lasting sense of pride, well-being, and an enriched sense of belonging. It's reported that even small acts of kindness heighten our sense of well-being, increase energy, and give a wonderful feeling of optimism and self worth. Research on prosocial behavior among adolescents determined that being kind increases popularity and our ability to form meaningful connections with other people. Being well liked is an important factor in the happiness of children and it was demonstrated that greater peer acceptance was achieved through good deeds. Better-than-average mental health is reported in classrooms that practice more inclusive behavior due to an even distribution of popularity. There are a number of physical and mental health benefits that can be achieved by being kind. Altruistic actions trigger a release of the hormone oxytocin, which can significantly increase a person's level of happiness and reduce stress levels. Oxytocin also protects the heart by lowering blood pressure and reducing free radicals and inflammation, which incidentally speed up the aging process. When children are part of activities that help others less fortunate than themselves, it provides them with a real sense of perspective, highlighting their own good fortune. Being generous helps them appreciate what they have, makes them feel useful, and fosters empathy. Internationally-renowned author and speaker Dr. Wayne Dyer explains that an act of kindness increases levels of serotonin, a natural chemical responsible for improving mood. This boost in happiness occurs not only in the giver and receiver of kindness, but also in anyone who witnesses it. Shanetia Clark and Barbara Marinak are Penn State Harrisburg faculty researchers. They say, "Unlike previous generations, today's adolescents are victimizing each other at alarming rates." They strongly believe that adolescent bullying and violence can be confronted with in-school programs that integrate "kindness -- the antithesis of victimization." Many traditional anti-bullying programs focus on the negative actions that cause anxiety in children. 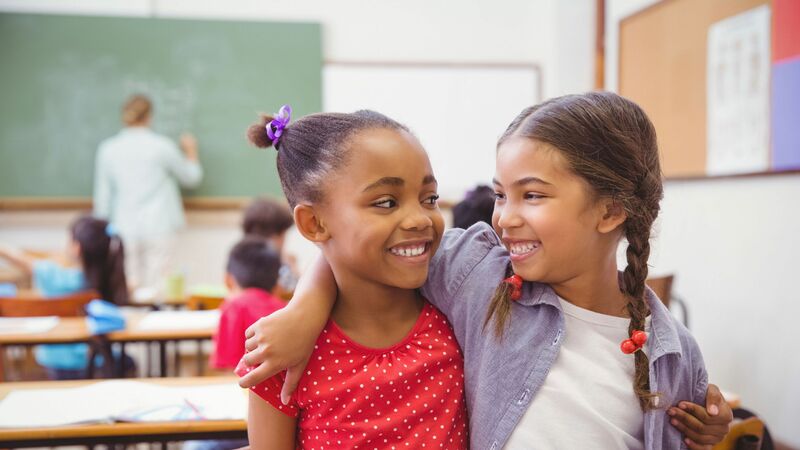 When students are instead taught how to change their thoughts and actions by learning about kindness and compassion, it fosters the positive behavior that's expected and naturally rewarded with friendship. Promoting its psychological opposite is key in reducing bullying to create warm and inclusive school environments. It's become quite clear that modern education ought to encompass more than just academics, and that matters of the heart must be taken seriously and nurtured as a matter of priority.